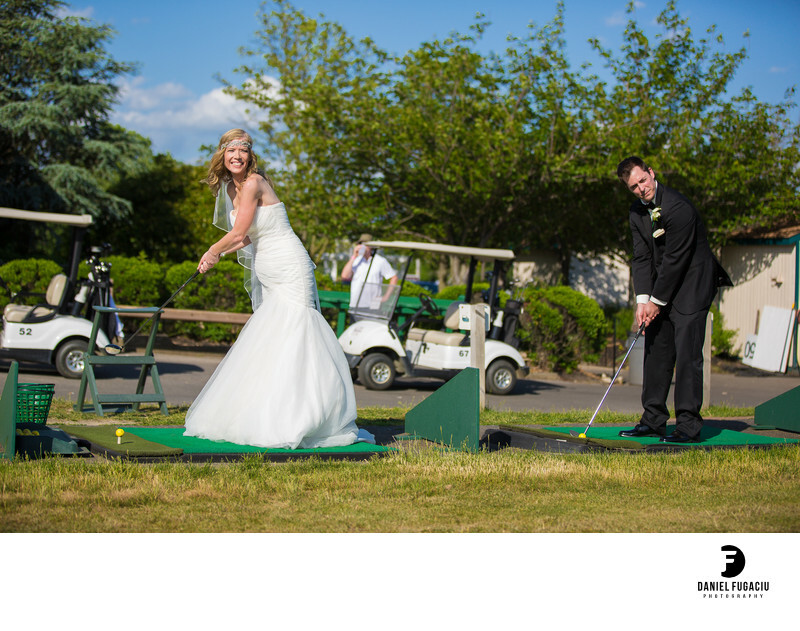 At this beautiful wedding hosted at Valleybrook Country Club we were fooling around with the bride and groom after taking their portraits around the grounds of the golf club. They don't play golf but loved this fun shot. Location: 200 Golfview Dr, Blackwood, NJ 08012. All pictures are © Copyright 2019 Daniel Fugaciu. Philadelphia Wedding Photography. Proud member of Professional Photographers of America.